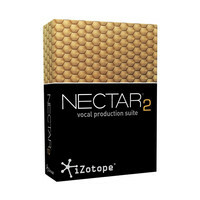 iZotope Nectar 2 brings vocal tracks to life with a wide range of tools designed specifically for voice. You can add impact with modeled plate reverb harmonic saturation and a set of creative effects. Stay in tune and remove distracting breaths quickly and easily. Instantly transform a single vocal take into a dynamic harmonised ensemble. Nectar 2 delivers professional vocals whether you are tracking or mixing. 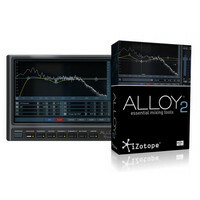 iZotope Alloy 2 is far more than just a traditional channel strip Alloy 2 is a modern twist on classic mixing. It gives you futuristic tools fast results and most importantly fantastic sound. Bring character and life to every element of your mix with Alloy 2. 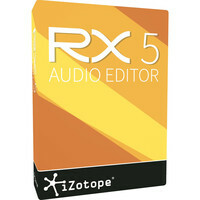 The iZotope RX-5 Audio Editor is the latest audio manipulation software from the legendary iZotope software series. This powerful audio editor helps you to repair enhance and restore problematic audio whether it be minimising background noise from a recorded source or revitalising old recordings such as music ripped from vinyl the RX-5 software can do it all. Its comprehensive and powerful interface has a whole host of features that give you optimum control over your audio. The Izotope BreakTweaker Drum Machine and MicroEditor is a revolutionary drum sampling and modulation tool that is adept for aspiring and established music produces. 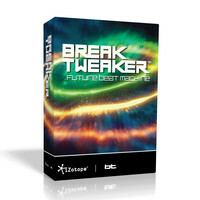 Featuring three advanced modules that allow for maximized control and freedom when creating editing and composing sequences the Izotope BreakTweaker also has a huge professionally captured sample library included. BreakTweaker also incorporates multi-channel capabilities to allow for further mixing options and is compatible with most leading DAWs. IZotope Stutter Edit is a unique effect plug in which allows you to create interesting glitch patterns and sweeping sound effects to flourish your mixes. Whether used in the studio or live Stutter edit provides a vast amount of control and manipulation allowing you to achieve a range of impressive sounds priory only achievable through advanced DAW editing. 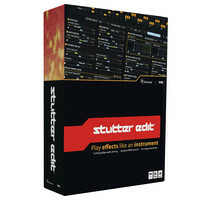 Compatible with both Mac and Pc and provided in a range of formats (AAX RTAS VST AU) iZotope Stutter Edit is a powerful tool for musicians producers sound deisgners and DJs. 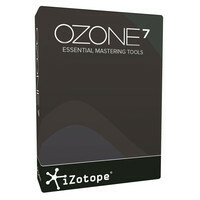 The iZotope Ozone 7 Complete Mastering System is a all-in-one mastering solution designed to offer all the comprehensive features you need to achieve a great sounding master. Ozone 7 has a whole range of features and tools to help you achieve your desired sound. From Imagers to Exciters and Dynamic EQs Ozone 7 has all the tools you need to develop and create great sounding masters of your mixes. One of the newest features incorporated in Ozone 7 is the IRC IV Maximizer which is a new algorithm that operates at specific frequencies to minimise the work the limiter has to do. This gives you a more of a transparent mix with less saturation delivering a neutral sonic output. With its comprehensive functionality and versatile tools Ozone 7 is the ideal mastering program for any audio professional. (Picture is for reference only). iZotopes Trash 2 is the ultimate multiband distortion toolbox. Use it for subtle tone enhancements on non-guitar tracks. Tape saturation for vocals overdrive on keyboards or a touch of fuzz on your snare track. 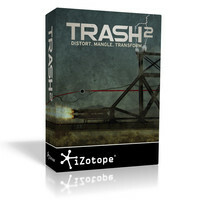 Trash 2 has over 60 distortion algorythms – Transform your sound into something never before heard.